The one that started it all! 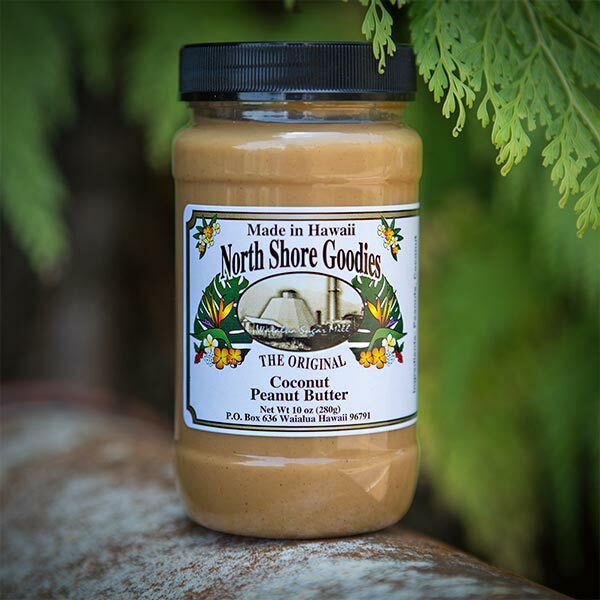 Our original Coconut Peanut Butter is creamy, delicious, and contains only two ingredients – Peanuts and Coconut. We offer three sizes: 32 ounces, 10 ounces and 1.5 ounces. 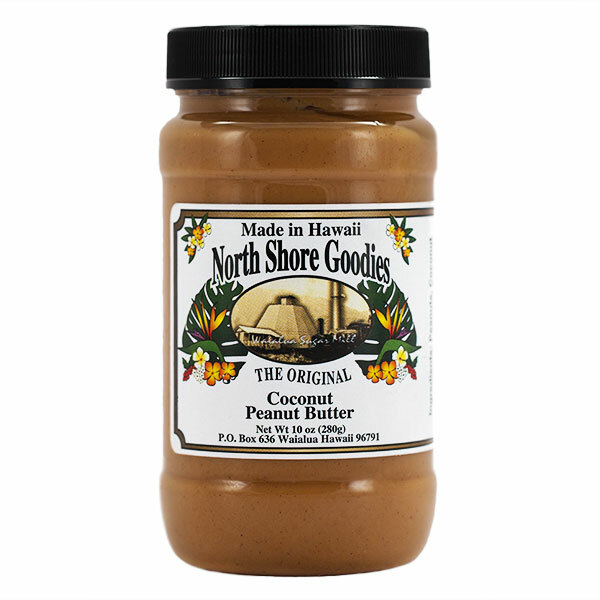 Many people are surprised to hear that our Coconut Peanut Butter is made with only two ingredients, coconuts and peanuts. 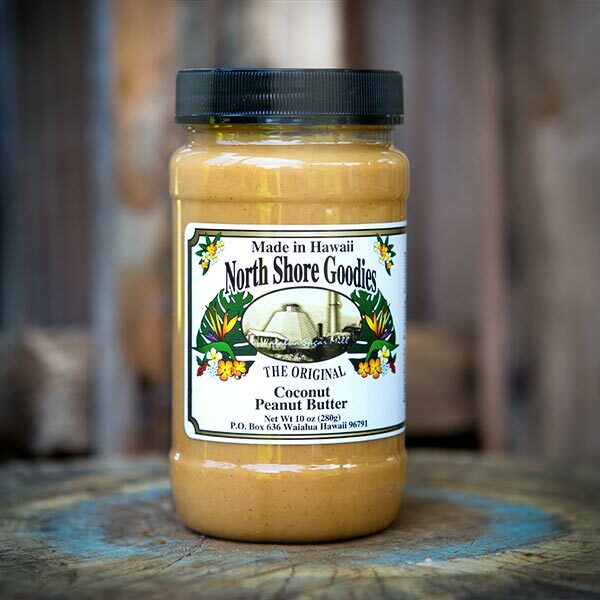 We use locally grown coconuts from Oahu, and our peanuts are grown on the Big Island of Hawaii. Simple and good equals simply delicious. I consume 2 spoonfuls of peanut butter every night for protein before bed, and I don’t enjoy it actually. 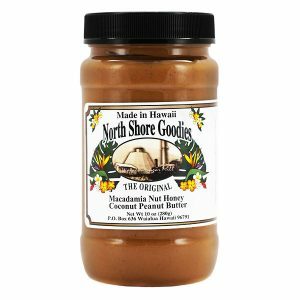 A vendor sent me a few bottles to me in Guam, and curiously tried them. 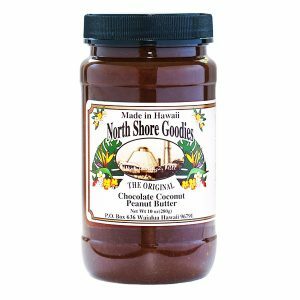 Your coconut peanut butter is the best peanut butter I have ever tasted, so I just bought 2x 32-oz bottles. I hope your recipe never changes cause I’ve never enjoyed peanut butter until now, and I don’t want to stop the protein at night. 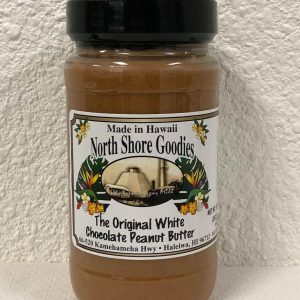 This is the absolute best PB hands down, nothing but coconut and peanuts. 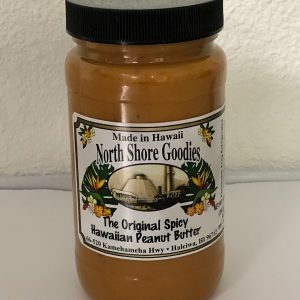 I bottle a jar while on vacation in Hawaii and now I’m addicted. I just purchased a large box to pass out to my family. You cannot go wrong with this amazing product. I’m hooked, I will never eat any other PB. Thank you.